Apparently I just can't get enough of snowmen......and penguins!!! 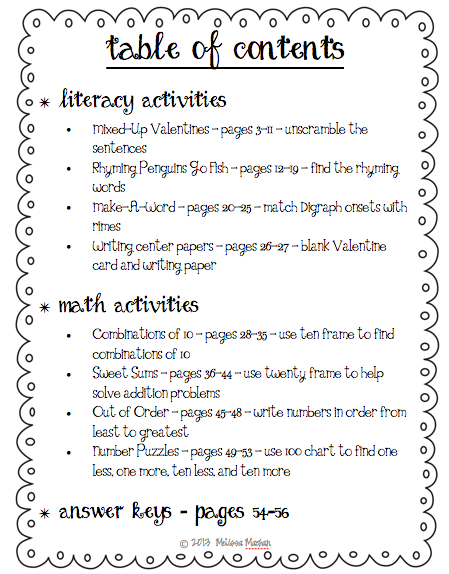 These adorable Penguins from Scrappin' Doodles inspired me to make some cute math and literacy centers. I tried to pick skills that my little ones need more practice with, so hopefully other people will also find these useful. Here is a quick sneak peek into what is included in this pack. My lower readers are really struggling with getting past CVC words, so I made a Make-a-Word center using digraphs onsets. I also made a Rhyming Go Fish center that includes CVC words and words with blends and digraphs. I'm hoping these will help them continue to work on stretching out these sounds. Although we continue to work on complete sentences, this is a great area to review and an easy center to implement. I chose to do this with the Mixed-Up Valentines scrambled sentences. 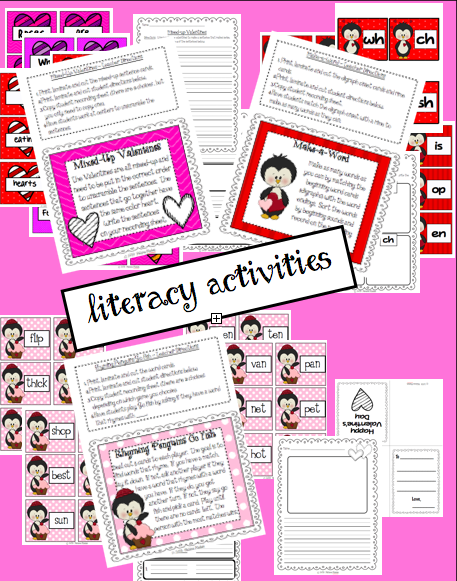 Finally, I added just a couple generic pages for a free writing center because my kiddies love this! For math I knew I needed to do some more work with ten frames and addition so I included two centers - Combinations of 10 and Sweet Sums using a twenty frame. They always need help with ordering numbers so I put one of those in there. And last but not least, I made some number puzzles where they will need to find one less, one more, ten less, and ten more of certain numbers. This one will be TRICKY, but it's SOOOO common core! It's definitely a tough thing for them to do this early in the year, but by the end of the year they need to master it, so why not get started. I decided to place this unit on sale for the first 3 days (until Friday 1/25). Just click on the picture below. I'm hoping others will find it useful at this point in the year as well. If you're reading this, I'd love to know what skills your kids are working on and/or struggling with at this point in the year? Compared to the other first grades at my school, my kids are a little lower, but I wasn't sure where other kids are at. Leave me a comment. After the sale is over I will pick one lucky comment to get this unit for free. Adorable! I understand the "below level" feeling. I have 6 NON-READERS... 20% of my class..(lots of issues, but still makes a teacher feel as if I haven't done my job). Hang in there! Unit is Super CUTE! Mine is struggling with comparing numbers (i.e. 7 is 1 more than 6; 7 is 1 less than 8) - we use Singapore Math so my kids need more practice with this! 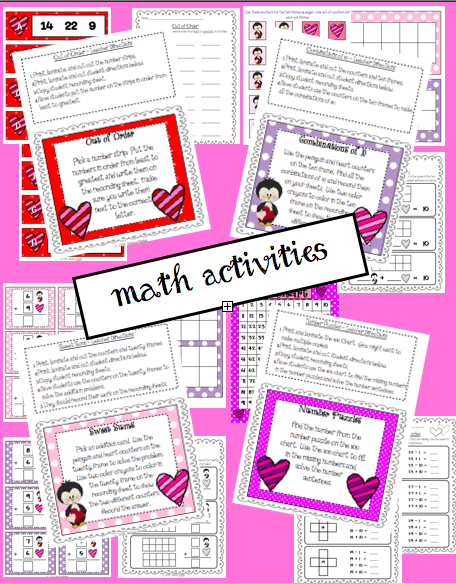 Singapore Math - huh? I've never heard of that, but it sounds interesting. I'll have to Google it :) I agree that my students struggle with comparing numbers as well. I always wonder if it the language that trips them up - maybe they can't follow the way we say it. It's hard to find new ways of teaching something and explaining it, but I guess the repeated exposure and practice, practice, practice does the trick. I just got a new kid that is super low and a struggling reader. We now have 30 in a class instead of 20 so I have my work cut out for me. Cute packs! 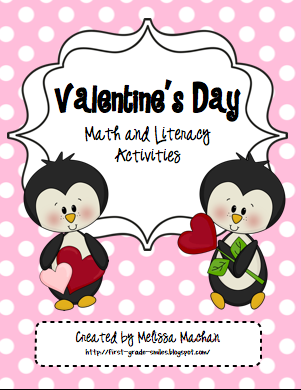 I love how you included penguins with valentine's - perfect match! The penguins are too cute! My students are still struggling with writing sentences and spelling on their own. I have to give them an example or walk them through it.